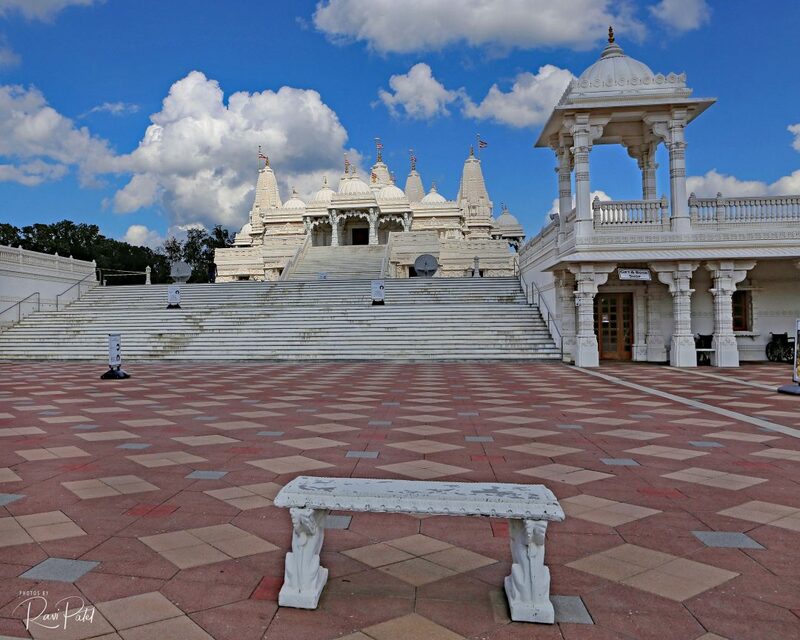 The BAPS Shri Swaminarayan Mandir in Atlanta, Georgia is a traditional Hindu mandir, or place of worship. The mandir was constructed in accordance with ancient Hindu architectural scriptures, and is the largest mandir of its kind outside of India. 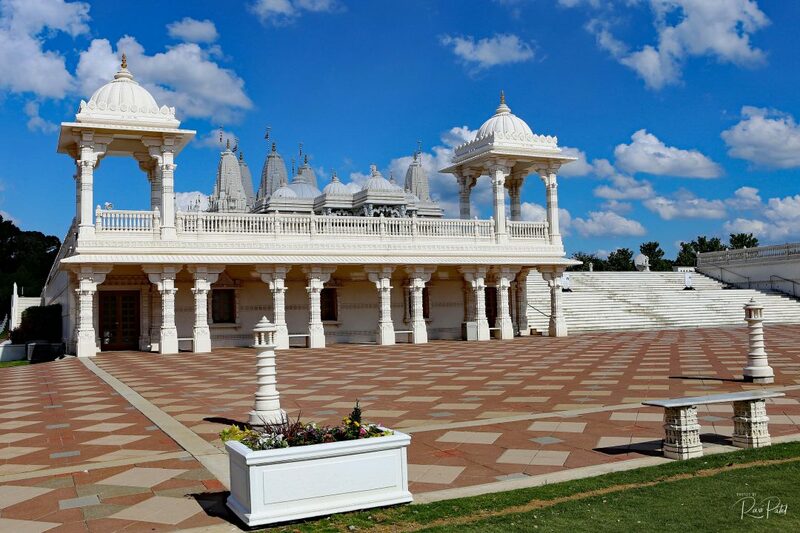 The mandir is made of 34,450 pieces of hand-carved Italian marble, Turkish limestone and Indian pink sandstone, situated on landscaped grounds spread over 30 acres. The mandir complex also includes a large assembly hall, family activity center, classrooms, and an exhibition on the key tenets of Hinduism. The mandir is open daily for worship and to visitors of any faith. Two bench views of the mandir form different perspectives. This entry was posted in Photography, Unusual Perspectives and tagged Atlanta, BAPS, bench, Georgia, Hindu, mandir, view. Bookmark the permalink.